My daughters are members of Frontier Girls, which is similar to Girl Scouts. They earn badges, do activities, and apparently surprise their mother. This summer Niko and I came to two meetings and taught the girls about Williams Syndrome. We shared this short video. We talked about several of the WS characteristics. The girls asked Niko and I questions. It was exceptionally sweet. 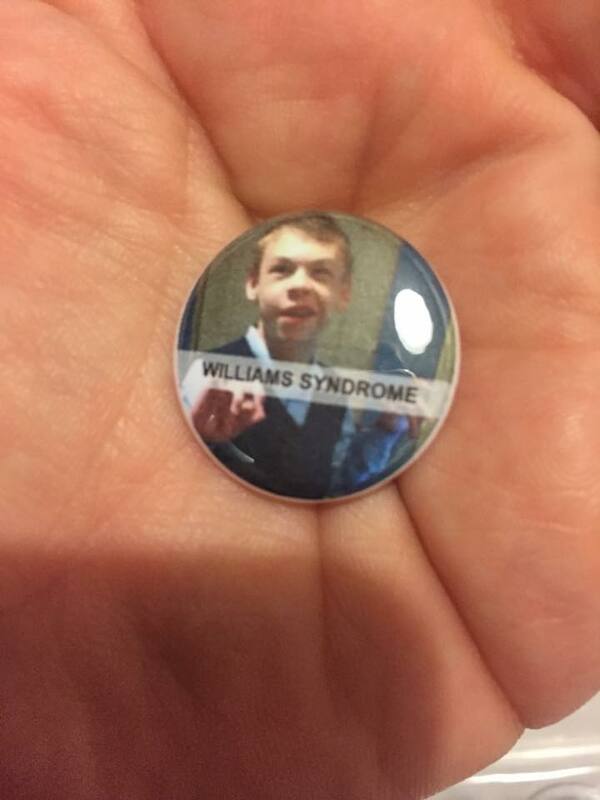 And then the Williams Syndrome badge was created. Girls all over America can now earn this badge. The troop all received the badge at their Court of Honor, and Niko and I received a special surprise. Our Troop Leader wrote about it and it was sent out in the Frontier Girls August Newsletter. Once again. it brought me to tears. Please take a second to read about how two very dear things came together for me. This is truly amazing. The more who know, the more who can spread the word. Congrats to your girls and everyone else. When I got a chance to read the Frontier Girls newsletter it brought tears to my eyes. Awesome that you have such a group that helps and so many people around you. Thank you, Michael. They’re pretty extraordinary little girls. They give me hope for the future.